THE 2017 ABORTION REPORT, which was released last month by the Minnesota Department of Health, showed that abortions increased slightly in Minnesota for the second straight year. This recent rise is contrary to Minnesota’s long-term trend of declining abortions. Abortions have dropped in seven of the last 10 years and have fallen 26 percent since 2007. Thanks to factors like pro-life education, ultrasounds, pregnancy care centers, and pro-life laws like Woman’s Right to Know and Positive Alternatives, women are more likely to reject abortion today than in the past. But with the slight increase over the last two years, the long-term abortion decline in our state seems, for the moment, to have stalled. The harmful influence of Planned Parenthood is a huge factor in keeping abortion numbers higher than they otherwise would be. But there’s also the inability to enact new abortion-reducing pro-life legislation. The Legislature has passed numerous MCCL-backed pro-life bills in recent years. But those bills have consistently been vetoed by pro-abortion governors. They include legislation to end the taxpayer funding of abortion, legislation to protect unborn children who can feel pain, and legislation to hold abortion centers to basic health and safety standards. They also include a bill this year to ensure that women are given the chance to see their ultrasounds prior to abortion. All of it would have made a real difference. And all of it was vetoed. Every one of those bills would be law if we had a pro-life governor! This is why elections are so important. Pro-life laws reduce abortions, help and empower women, and save the lives of unborn children. abortions), Woman’s Right to Know law (which has empowered abortion-vulnerable women with information), and Positive Alternatives program (which has provided needed assistance and support to pregnant women). But only with both a pro-life Legislature and a pro-life governor can additional measures be enacted! 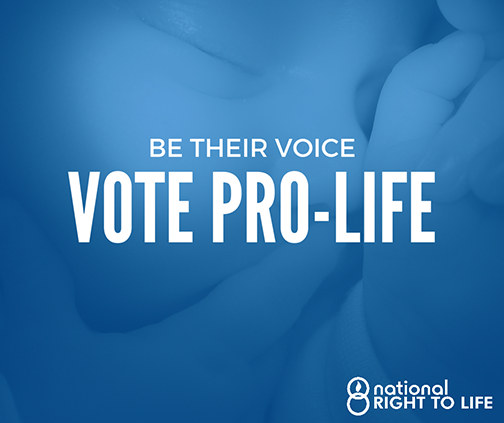 So in this fall’s election, we need to vote for pro-life lawmakers in order to maintain the current pro-life majority in the Legislature. No pro-life progress is possible without them. But we also need, after eight long years of a pro-abortion governor, to elect a pro-life replacement to the governor’s office in November. Remember this as you vote in the Aug. 14 primary election and then in the Nov. 6 general election. The candidates we vote for really matter. The lives of unborn children are actually on the line. Editor’s note. Mr. Fischbach is the executive director of Minnesota Citizens Concerned for Life. This appeared in the June-August edition of MCCL News.